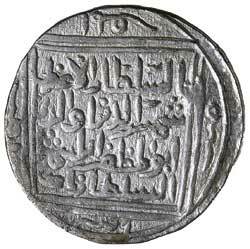 SULTANS OF DELHI, Shams al-din Iltutmish (A.H. 607-633, A.D. 1210-1235), silver tanka, mint unclear, (10.76 g), AH 624 (1226-7 A.D.), citing the caliph al-Zahir (G&G D33 RRR). Very fine and very rare. Ex Dr V.J.A. Flynn Collection and Baldwin's Auction Sale 53, 25 September 2007, (lot 1555). 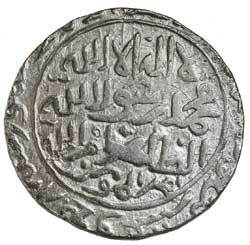 Baldwin's noted in their catalogue the following comment "This type was probably struck at Dehli, but whereas the date on this specimen is clear, the mint-name is barely visible, as is the case on other specimens known to the cataloguer".